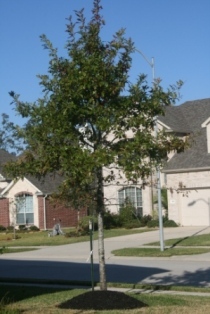 These photos show one of the most common causes of tree problems. Most trees planted these days are planted too deep in the ground. 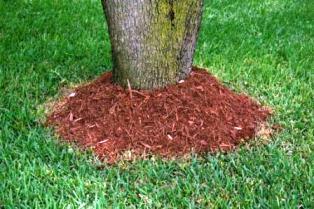 The problem is made worse by piling soil and mulch up on the trunks. 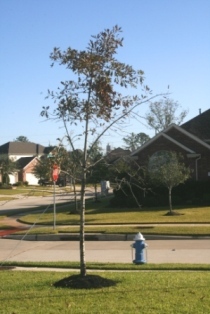 The solution to most tree problems is the Sick Tree Treatment. 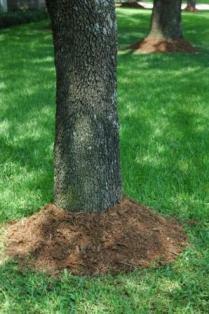 The first step is to remove the excess material from the base of the tree. 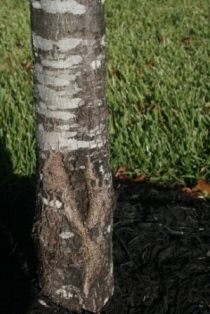 TREE GOOP: 1/3 of each of the following mix in water: rock phosphate, natural diatomaceous earth, manure compost. Slop it on the tree. Note: fireplace ashes can be substituted for the rock phosphate. P.S. Visit the Natural Organic Shop to purchase great holiday gifts. ALL purchases in The Natural Organic Shop. Forward this newsletter to family and friends and ask them to Sign Up for the free Dirt Doctor Weekly Newsletter.